Challenging electronic album from 1986 by Maggi Payne. 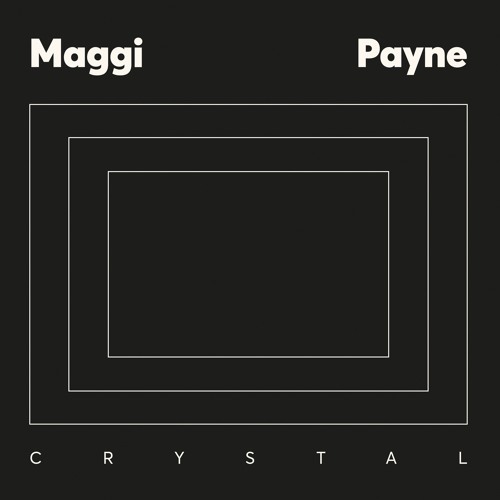 https://www.aguirrerecords.com/collections/aguirre-records/products/maggi-payne-c Maggi Payne is an American composer, flutist video artist and co-director of the Center for Contemporary Music, Mills College where she teaches recording engineering, composition, and electronic music. Her work involves electroacoustic, instrumental, and vocal works along with works involving visuals, including dancers outfitted with electroluminescent wire and videos she creates using images ranging from nature to the abstract. She has composed music for dance, theatre, and video. Crystal was first released in 1986 on the Lovely Music label. Home to experimental musicians such as Robert Ashley, David Behrman, Pauline Oliveros and Alvin Lucier. On Crystal flute, spoken voice, sonifications and synthesizers are processed to create dense and massive structures. Maggi Payne's musical imagination is vivid: she is interested in the surreal, the inward, the micro, and the accumulation of physical and psychological tension. Periods of silence gently evolve into flowing drones of complex resonances. Oozing drones evolve into dense and powerful peaks of short duration. The compositions and sounds on Crystal have incredible depth, a profound logic and, though not "pretty", an irresistible beauty.